I became a Rolfer in 1977 because I needed there to be a relationship between the way I made my living and the way I wanted to live. I wanted something that would be helpful and respectful; that would be continually challenging and deepening. I was fundamentally interested in understanding pain, suffering and the nature of healing. Finally, at the risk of sounding pretentious, I was looking for a form that was both eminently practical and had the potential to be art. Many of my teachers have been physicians trained in osteopathic manipulative medicine and holistic medicine (For a list of classes, see My Experience and Training.) Soon after becoming a Rolfer, I began taking courses in cranial technique, working with the membranes and fluids that surround the brain, spinal cord and nervous system. I was taken under the wing of three doctor friends who taught me spinal manipulation and mobilization. I studied psychodynamic theory and movement analysis. In 1986, I became an Advanced Rolfer. I spent three exciting years on the staff of Sports Medicine Resource, a nationally known orthopedic and sports medicine group in Brookline (they were the team doctors to the Red Sox, Celtics and Bruins). I had a wonderful year as a special student at Harvard Medical School, and earned an Independent Studies' Master’s Degree in Clinical Anatomy from Lesley College in Cambridge. Over a six year period (the last three as teaching assistant), I studied with a French physician, learning about the visceral system and how restrictions in the kidneys, small intestine, uterus, and other internal organs can affect the body’s structure and functioning. 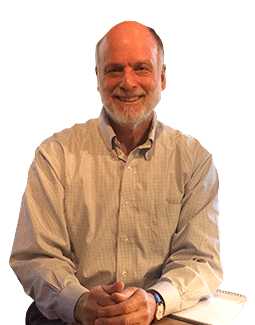 I started The Gordon Group in 1984, and with nine associates taught manual therapy and myofascial release and other soft tissue techniques in hospitals and clinics throughout the U.S. In 1988 I became a Fellow of the American Back Society and presented aspects of my work at a number of major conferences. As a member of the training staff of the 1992 America’s Cup, I worked with a superb team of physicians, chiropractors, athletic trainers, therapists, exercise physiologists, and psychologists. At the Rolf Institute, I taught (and still teach) internationally and was the Chairman of our Life Science Department from 1996-2000. By 2000, I decided to focus on client healing and significantly reduced my teaching. In 2002 I arranged for a Master’s Class in Biodynamic Bodywork, a gentle, non-forceful approach to structural integration that works with the body’s natural, inherent ability to self-correct (for more on this approach, visit The Biodynamic Perspective). Over the course of eighteen months, sixteen of us, all very experienced teachers from around the US and Europe, met at my home in Eliot, ME to further our understanding of this exquisite approach to changing human structure and functioning. I have become very skilled working with pre and post-operative conditions, whether they are in the knee, shoulder, wrist, or elsewhere. I have years of experience with painful backs and necks and have taught a class for physicians in spinal diagnosis. I understand jaw pain and headaches; work with people who have chronic conditions of the viscera such as bladder infections, reflux, difficulty swallowing, chest or pelvic pain. I am familiar with – and sympathetic to - the affect tension and emotional issues have upon our bodies. I feel strongly about being a client advocate. My policy is this: if you do not experience a significant difference in your well-being after three sessions (you may not be all better but you know you are moving in the right direction), I will recommend someone who may be able to assist you further. I do not pretend to have all the answers. If I cannot help you, I am very familiar with other approaches and professionals (not all professionals are the same – some are better for one problem and may be less so for another.) A major role I play is as a knowledgeable consultant, a referral resource to find the right person to help you. Lastly, whether the issue is a gimpy knee, a bad back or a broken heart, the goal of treatment remains the same: helping a person to move more easily and with less pain; helping them stand up right, in every sense of the word. Ultimately, what I am trying to do is help someone gain increased freedom and, as much as we are both able, more grace.